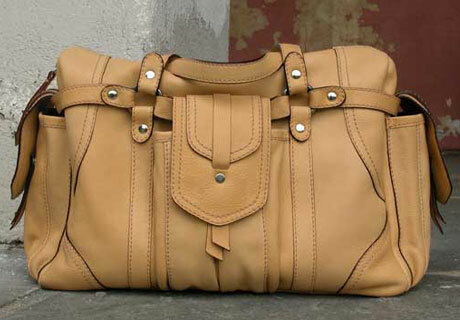 On a recent trip to Paris I was on a mission to find a new handbag that was beautiful, of great quality and functional. Visiting almost every one of the better known brands without really finding anything new, I also decided I didn't want a bag that is seen on every other woman on the street. Luckily Paris is known for great shopping experiences and tiny shops with smaller up-and-coming designers, and I stumbled upon this 'Abigail' bag by Gadino. The first thing that appealed to me was the design; it's beautifully made, has lots of pockets for bus tickets, cell phone, lipstick, keys, you name it. The leather is the other great asset; it is soft as the finest luxury powder, yet strong enough to hold anything. Truly amazing quality, great design and beautiful details made 'Abigail' and I a match made in heaven! Visit the Gadino website for even more styles!